Casual style dress made of lycra with a beautiful burnout pattern on the lower layer of the dress. 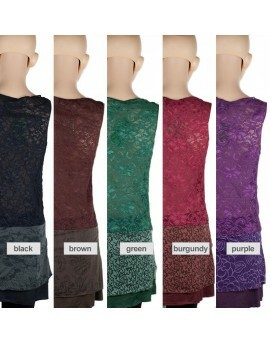 It also has an appealing lace panel at the back, giving it a lovely airy feel, and making it a perfect party wear. This is a staple requirement in any hippie wardrobe. The loose fitting style ensures you stay cool in the heat or allows for easy layering.